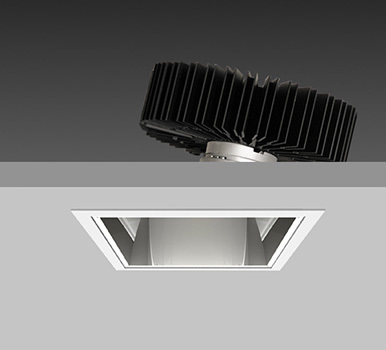 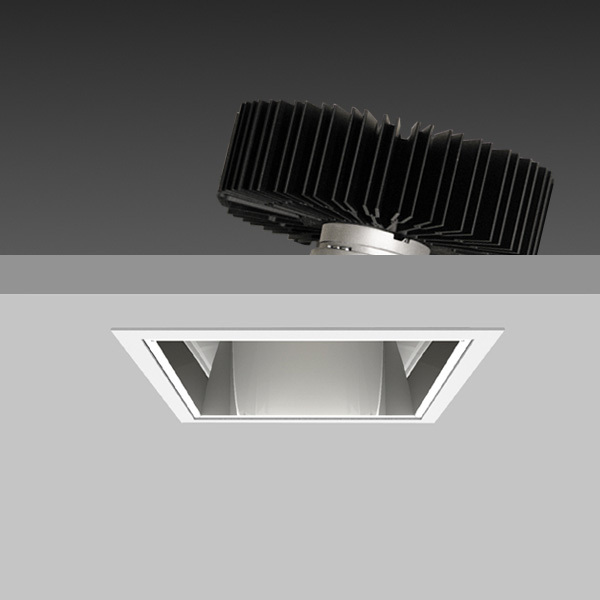 SQUARE X161 with Xicato LED recessed directional downlighter with deep cone reflector finished in specular silver, and white ceiling trim. 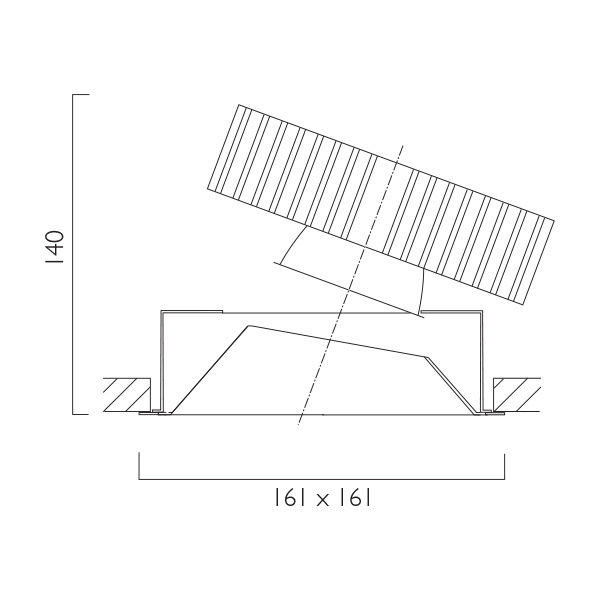 Tilt angle 30º. 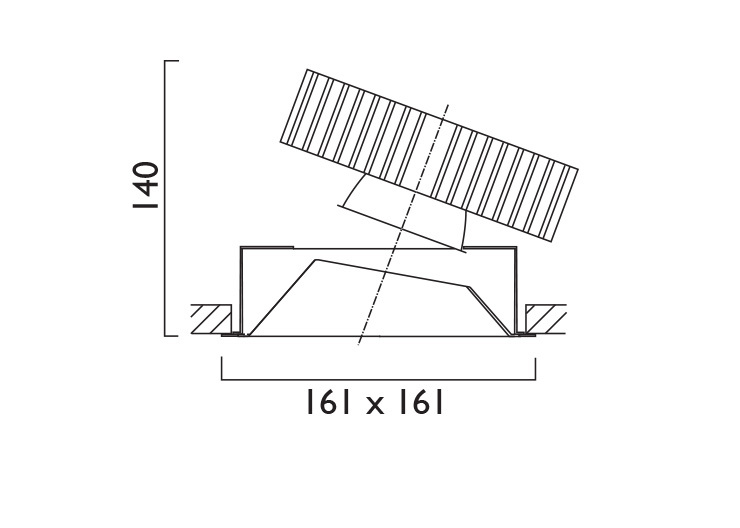 Overall size 161 x 161mm, cut out 147 x 147mm. 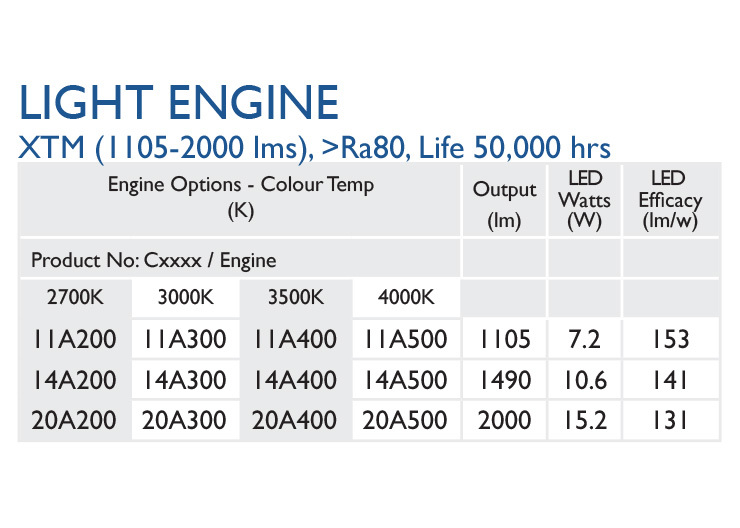 To specify, first choose the Product → then choose the Light Engine.